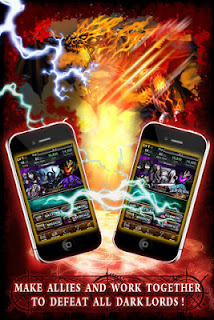 * This game will run on Android 2.2 and higher, but some display issues may arise on devices running other OS versions. Garnering Attention from Around the World! Join the Globally Acclaimed Dark Fantasy! 14 or More Days Will Receive a Gift. The Monsters Await Your Return! ■ Featuring artwork by many famous Japanese and international artists! ■ More than 1,200 monster types! 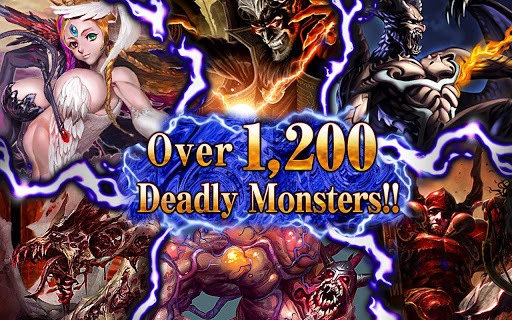 ■ Power up your monsters! 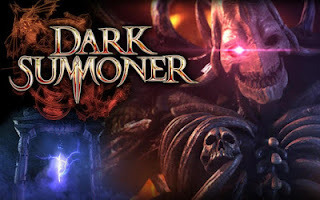 ■ Team up with friends to defeat legendary Dark Lord Raid Bosses! ■ Form Clans with your friends! ■ Only have a few minutes free? That's OK! ■ New free events and updates added monthly! ※ Read through the End-User License Agreement before playing the game. ※ The game's initial load time may take a few minutes in areas with a weak network connection. ※ A Wi-Fi connection is recommended for the optimal Dark Summoner experience. ※ The game may not run smoothly in certain conditions. 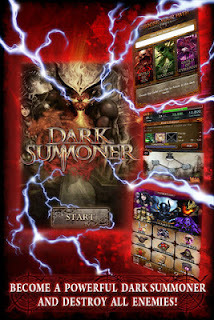 Google Play Link : https://play.google.com/store/apps/details?id=com.darksummoner&feature=search_result#?t=W251bGwsMSwxLDEsImNvbS5kYXJrc3VtbW9uZXIiXQ..